He wants to teach you about pencils. [pen-suhl] noun, verb, -ciled, -cil·ingor ( especially British -cilled, -cil·ling. the like, used for writing or drawing. Did you know that even though the center of the pencil is called lead, pencils have never contained the element lead? The graphite core of pencils is not poisonous, and is harmless if swallowed. 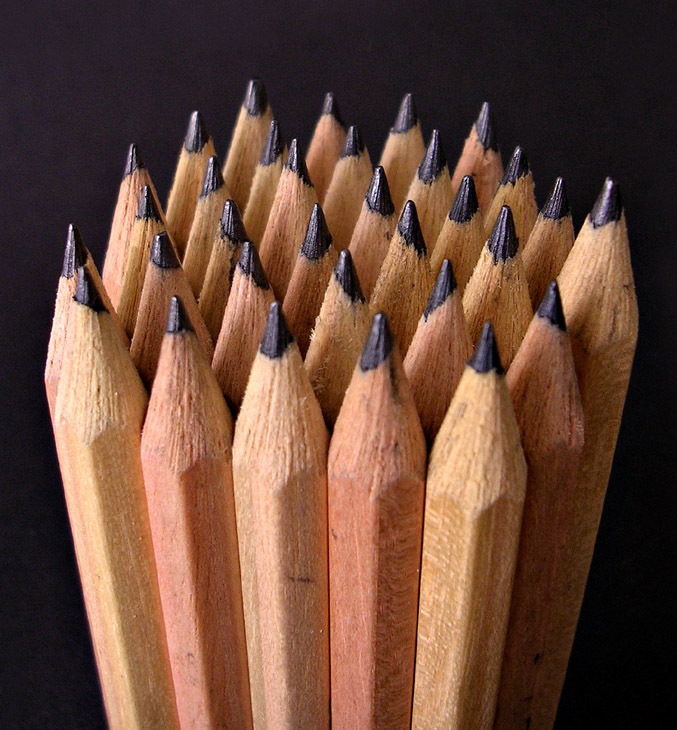 The first American wood pencils were made in 1812, but erasers weren’t attached until 1858. I guess we didn’t make as many mistakes back then. The metal band that holds the eraser on is called a ferrule. Henry David Thoreau was the son of a pencil maker. Thomas Edison The inventor had his pencils specially made by Eagle Pencil to be three inches long (6.6 centimetres), fatter than ordinary pencils and filled with very soft lead. John Steinbeck The author wrote obsessively in pencil, sometimes going through 60 in one day. It is said that he used 300 pencils to complete his novel, East of Eden. Forbes.com recognizes the pencil as number 4 in their list of most important tools. More than 2 1/2 billion pencils are sold each year in the United States alone—about 11 pencils for each person in the country! For a tool that has been so important to so many people for so many years, can you believe that not everyone has access to pencils? In Orange County for the 2008-2009 school year, the percentage was 48.55%. In Osceola County, it was 65.11%!! If these kids can’t afford lunch, how will they afford pencils and other school supplies?! That’s where Pencil Boy comes in! 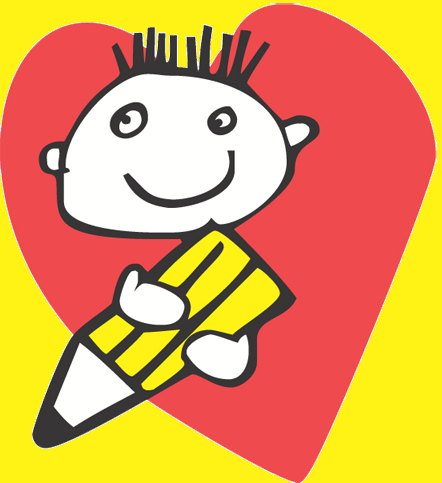 Pencil Boy is the mascot for A Gift For Teaching, an organization that distributes school supplies, including pencils, to teachers and students in need! They operate a Free Store for Teachers where the teachers can come in and shop without spending any money and get supplies for their students and classrooms. Through their excellent staff and kind donations and volunteers, they are able to take a $10 donation and stretch it into $100 worth of school supplies. That’s a LOT of pencils! Please visit their website and find out more about them! We’ve learned a lot about pencils today! But now I have some homework for you! Please visit my fundraising site and consider donating even a small amount to A Gift for Teaching. Every little bit counts! Skip today’s Starbucks run, and give that $5 to them so kids can have pencils and erasers, glue, paper, scissors, etc. It only takes about $7 to fill a backpack with supplies for kids. Could you give $7 to fill a backpack? Thank you so much for donating! Pencil Boy thanks you, too! You all know that school budgets are getting slashed left and right, and teachers are undervalued and underpaid. And here in Orange County, Florida, over half of the kids are on the free or reduced school lunch program. That means those kids can’t even afford to eat lunch, let alone buy school supplies. So that means those underpaid teachers end up buying supplies for their kids out of their own pocket. On average, teachers spend over $1000 a year on supplies for their classroom or for their students. Sometimes it’s a LOT more than $1000. But there’s hope. A Gift For Teaching is an organization that distributes school supplies to those teachers and students here in Central Florida. Every day, A Gift for Teaching provides nearly $40,000 in donated product to teachers. I’m helping raise money and school supplies this August to make sure the teachers and students start the year off right. I’d love it if you could donate some money to help this great cause! I volunteer often with A Gift for Teaching and their staff are wonderful stewards of donated money and supplies. Through their organization a dollar donated can be stretched to $10 worth of school supplies. Please consider giving even a little bit! Thank you so much for an outstanding committment to this extraordinary cause! If you would like to make a supply donation, let me know. While the kids always need standard school supplies, they take all kinds of other items as well, new or gently used. Teachers are very creative and can find uses for all kinds of things. Let me know in the comments if there’s something you’d like to give!